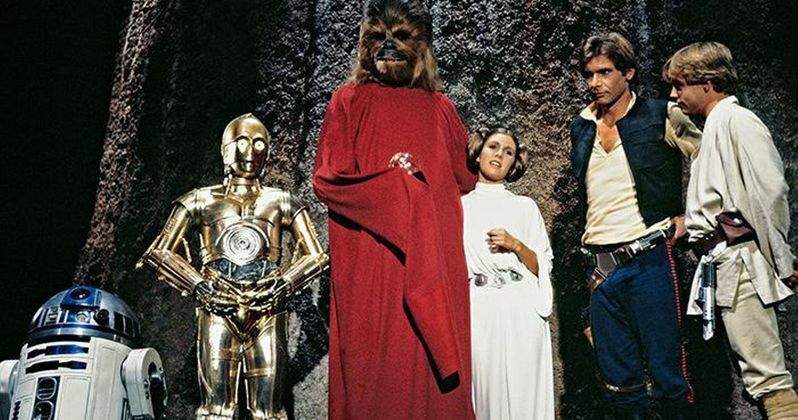 This week, the Star Wars: Holiday Special officially turns 40 years old. The program was initially made for television, premiering on CBS back in 1978. Immediately upon its release, the special was heavily lambasted, and as a result, it was never aired on television again. The consensus seems to be that the special is so bad it's not even watchable, despite featuring the main cast of the original film. Surprisingly, or perhaps not so much, even Luke Skywalker himself hasn't been able to finish it, as actor Mark Hamill revealed on Twitter. When asked by a fan straight up if he's seen the special, Hamill replied, "Not all the way through." Back in 1977, George Lucas would launch one of the most popular movie franchises of all time with his first Star Wars movie. Its success would quickly put a sequel into works, but it would take a few years to be able to bring the next movie to the big screen. In the meantime, CBS thought waiting fans would be happy with a TV special featuring all of the film's most prominent characters. Lucas agreed to the deal, because without hindsight, it seemed like a good idea at the time. The concept for the special was that it'd use clips from the film combined with animated portions and variety show segments to develop a story around the fictional holiday, Life Day. All of the right ingredients were there, as far as casting goes. Mark Hamill, Harrison Ford, Carrie Fisher, Peter Mayhew, David Prowse, and the voice of James Earl Jones were all included. Its strong cast seems to be where the positive qualities end, however. Musical numbers featuring the likes of Jefferson Starship and Bea Arthur were interesting, to say the least, but not very well-received. The comedy sketches weren't appreciated any better, and when combining these things with animation and clips from the film, we're left with a bizarre, convoluted mess. It certainly speaks volumes that even Hamill himself couldn't stomach making it through the entire program. Fortunately, the Star Wars Holiday Special didn't permanently damage the franchise. By the time The Empire Strikes Back premiered in 1980, the franchise was quickly back on track. Now owned by Disney, the movie series is arguably more popular than ever. Star Wars: Episode IX will be hitting theaters late next year, with J. J. Abrams in the director's chair. With new movies continuing to hit theaters and achieving mass success, the lambasted TV special is now nothing more than an embarrassing footnote to an otherwise phenomenal legacy. In addition to never airing on television again, the Star Wars Holiday Special has also never received a proper home video release. It can still only be viewed by way of copies made by fans who'd recorded the special when it first aired. For years, it was highly-sought by Star Wars collectors looking to see everything from the franchise, good or bad. The advent of the internet has now made it much easier to find, and if you're curious enough to see it for yourself, you won't need to look too far. Thanks to YouTube, you can check out the entire program below.